In 2015, Amy Gorman finished “Superpowers of the Shy Girl,” a warm and funny first novel by a promising writer. In a heartbreaking twist of fate, Gorman died of breast cancer shortly after completing the book. But Gorman’s husband, daughters and extended family came together to publish the book, offering inspiration and humor for shy kids—and not-so-shy kids—everywhere. 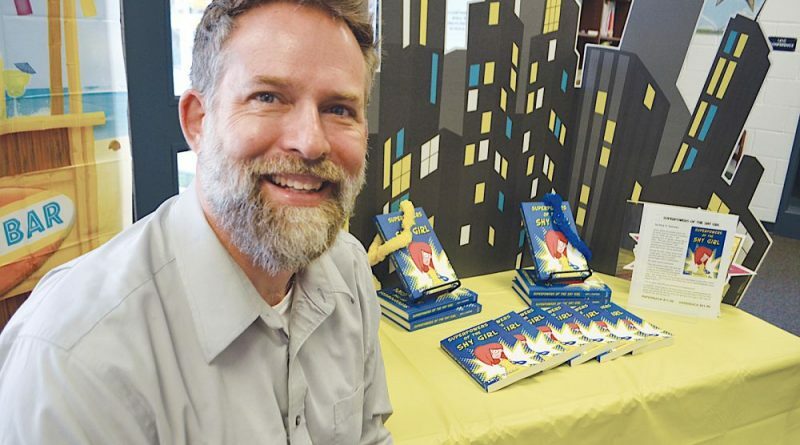 Gorman’s husband, Jason Weaver, who lives in Ashburn with their daughters Elizabeth, 13, and Alex, 11, moved from an IT career into a publishing business to make the book a reality and carry on his wife’s legacy. But “Superpowers” isn’t just a memorial to Gorman; it’s also a great read. The middle-grade, chapter book tells the story of Jenny Watts, a shy but super observant and quietly funny fifth-grader in 1980s Connecticut. With plenty of amusing references and anecdotes that will charm Gen X parents, the book also has plenty to say to 21st century kids as Jenny navigates mean girls, friendships and family dynamics, including a dismissive big sister. The novel, divided into chapters by superpower, humorously points out the upsides of being shy—little hacks that let shy kids find their way in school and other social settings, including strategic invisibility and people watching. “It kind of talks about getting comfortable in your own skin. … By being shy and not really part of the group, [Jenny] can observe the world as it goes by and take more in,” Weaver said. For Gorman and her family, it all started with a binder and an enthusiastic elementary school teacher. 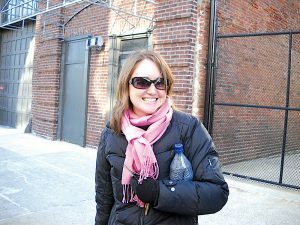 When Gorman completed the novel, her first reader wasn’t her husband, but Elizabeth’s then-fifth grade teacher at Discovery Elementary, Emily Proctor. Gorman had a hand-printed copy of the book in a binder, and Proctor read it to Elizabeth’s class in 2015 and has continued to do so every year since. That first year, Proctor asked students to write notes to the author and add responses to the book. Weaver and the girls still have a treasured copy of that first binder, full of students’ enthusiastic praise. Gorman, a New Jersey native, majored in journalism at Lehigh University but was drawn to Colorado for its natural beauty. She and Weaver met in Boulder and after Gorman completed a graduate program in political science at the University of Colorado, the couple moved to the DC area to pursue Gorman’s passionate interest in human rights. They moved to Ashburn in 2004 to buy a home to raise their girls. For years as a mom of young children, Gorman was quietly writing, Weaver says, and completed “Superpowers” in late 2014. Shortly after she finished her book, Gorman received a devastating diagnosis: the breast cancer she had battled a few years before had returned and metastasized. While battling her illness, Gorman turned her focus to getting the book published, and it served as a needed distraction from medical treatments. “I think it was a goal. It was something outside of cancer, outside of treatment, a positive thing she could focus on.” Weaver said. Gorman died in October 2015, and Weaver let the project lie as he focused on his daughters. Gorman’s three sisters, led by Ali Gorman, continued trying to find an agent for the book but got some kind but candid rejections, often mentioning that a first novel by an author who was no longer living would be a tough sell to publishers. Finally, returning from a road trip to see friends in Colorado, Weaver decided to jump in. After researching self-publishing companies, Weaver decided he’d get a higher quality product by starting his own publishing company, and Shy Girl Publishing was born. “Superpowers” is the company’s first and only publication so far, but Weaver would eventually like to bring on more emerging authors. Weaver hired an editor and a local book designer, and the book came out in late 2017. Weaver launched initial online sales around the holidays, and the book is now available at major online platforms. Weaver was recently invited to participate in the Discovery Elementary School book fair and hopes to get the book into school libraries across the county to share its message of empowerment. Weaver says the book is a mix of Gorman’s experiences as a shy girl in her childhood and her own girls’ lives. The Weaver girls are reserved like their mom but quietly warm. Elizabeth, an eighth grader at Farmwell Station Middle School, is a talented cellist and visual artist whose original drawing is the basis for the book’s cover art. Alex, a fifth grader at Discovery, has inherited her mother’s red hair and love of writing. It’s clear that Gorman’s death is a loss not only to her family but to children’s literature. But as her main character and alter ego Jenny puts it, hopefulness is one of the superpowers of the shy girl, and that shines through in the Weaver family’s own quiet optimism. 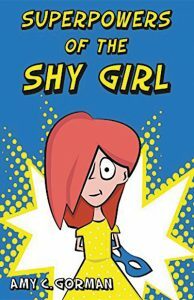 “Superpowers of the Shy Girl” is available at amazon.com and barnesandnoble.com. For more information, go to shygirlpublishing.com.